Paul Coleman the Project Manager updates us on the lastest news from the Folly Project at Wimpole. 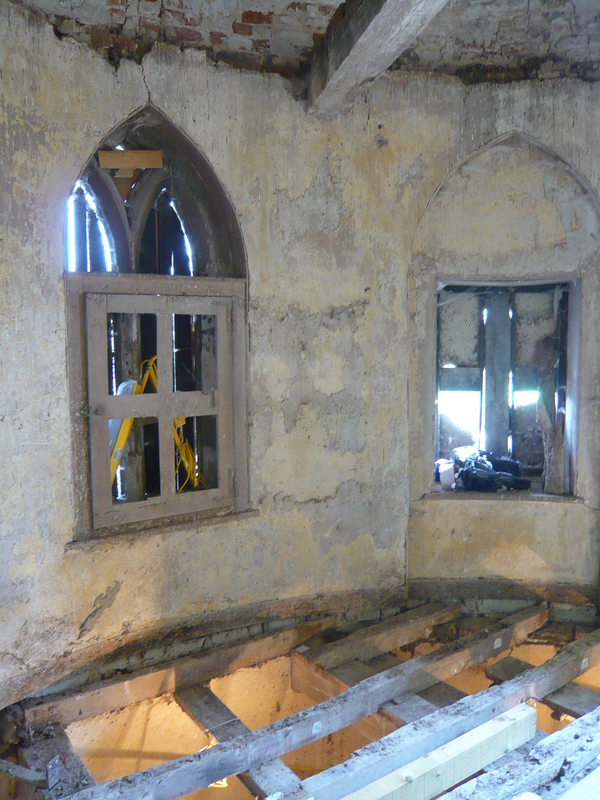 The Folly project is now in full swing with large areas of stonework repaired and conserved to the outside, however this week we have started to investigate the inside of the Folly and plan the 1st aid repairs to the structure. 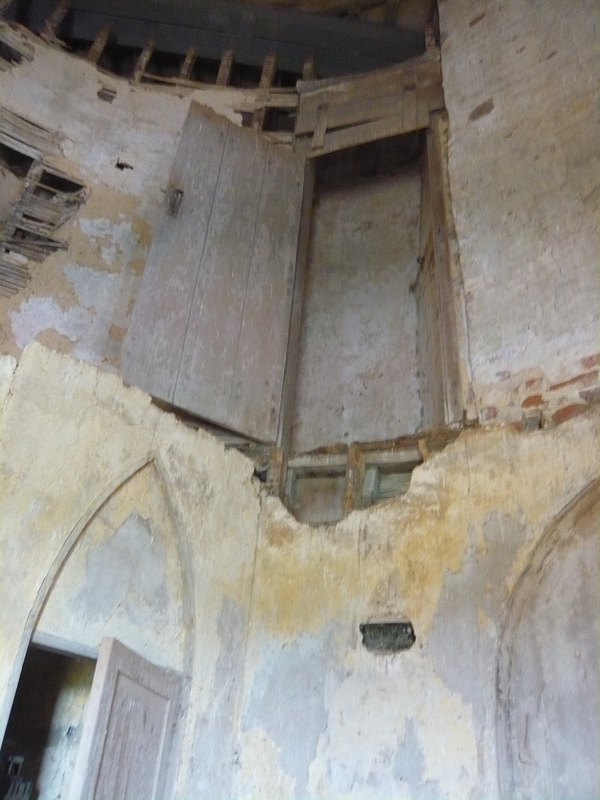 Like the scene from a horror movie, cobwebs hanging from every surface, creaking doors and floor boards the interior of the Folly is in a very very fragile state. 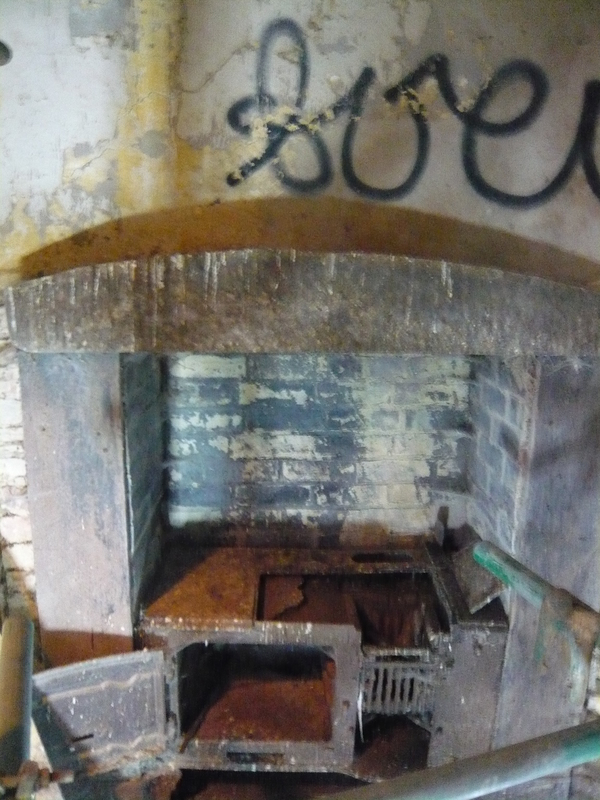 Since its completion in 1772 and later conversion to the Game keepers cottage in 1805, up until the late 1920’s it was in use, this kept the building alive and in someways in good order. 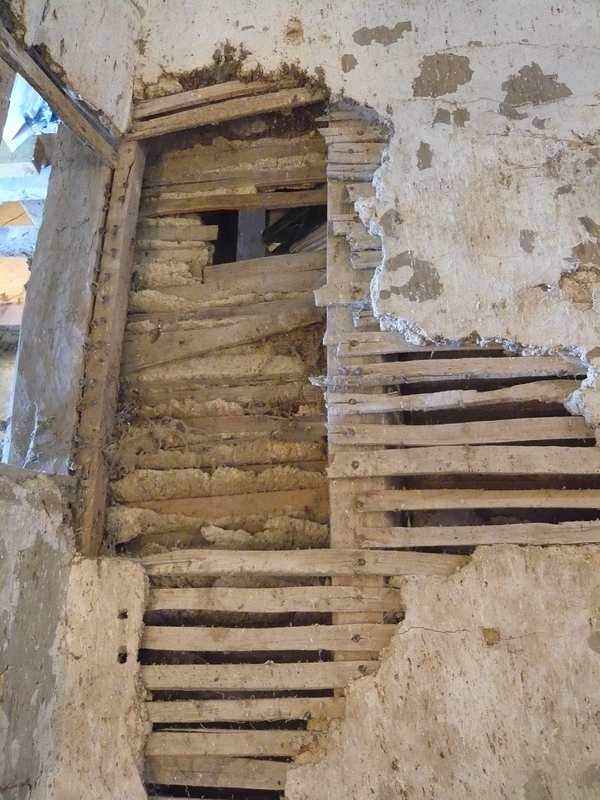 The following decades have seen a rapid deterioration, especially in the 1970’s when the roof collapsed causing water to allow the rot and decay to take hold. 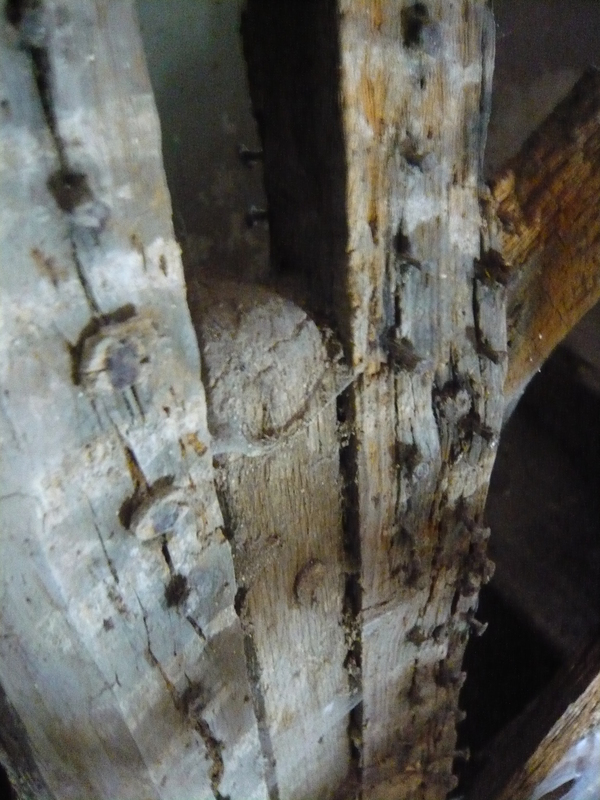 Added to this over 15 years of pigeons using the inside as a pigeon roost we see those fine spaces intended to be appreciated by the 2nd Earl of Hardwick in 1772 and later the game keeper in need of emergency repair to stabilise and secure them. Decaying timber surrounds you, the acrid smell of pigeon guano fills the air, plaster is falling from the walls and the temporary builders lighting gives a warm glow inside – it is an assault on your senses but the rooms have a quality, an atmosphere of beauty through their gradual decay. 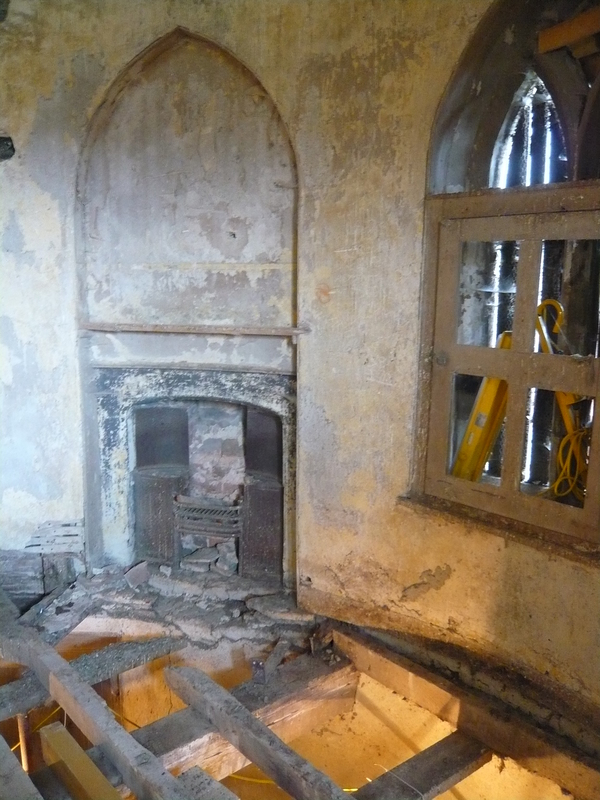 The Prospect Room sits at the top of the tower intended for entertaining and enjoyment with its Gothic arched doorways, windows and fireplace – but the floor structure in completely rotten, floor boards missing and the wall plaster crumbling. 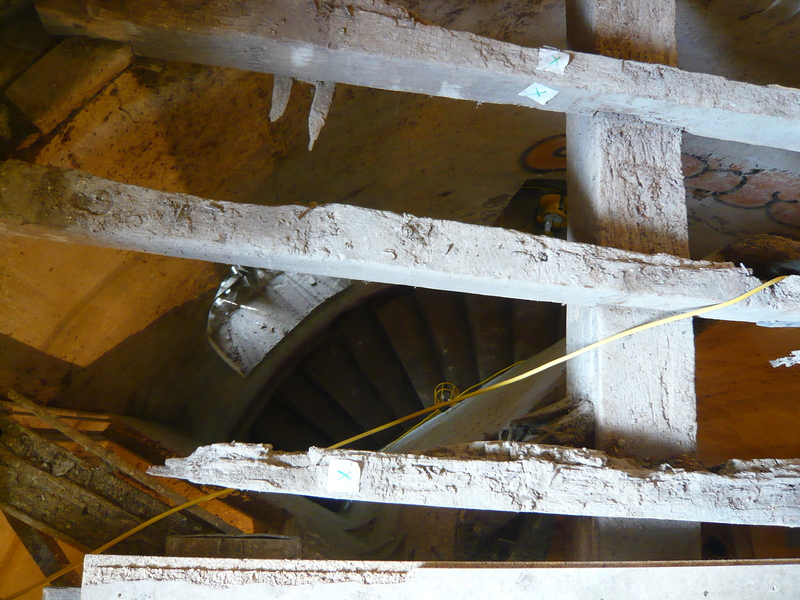 The floor above the Prospect Room is completely missing and the floating circular staircase which ascends the building hugging the inside walls from the ground floor kitchen up through the tower is at a point of collapse. When complete in 1772, the tower had a ground floor and one upper floor (the prospect room), later with the conversion for the gamekeepers cottage two additional floors were inserted between the ground floor and upper level, to allow bedrooms to be provided. 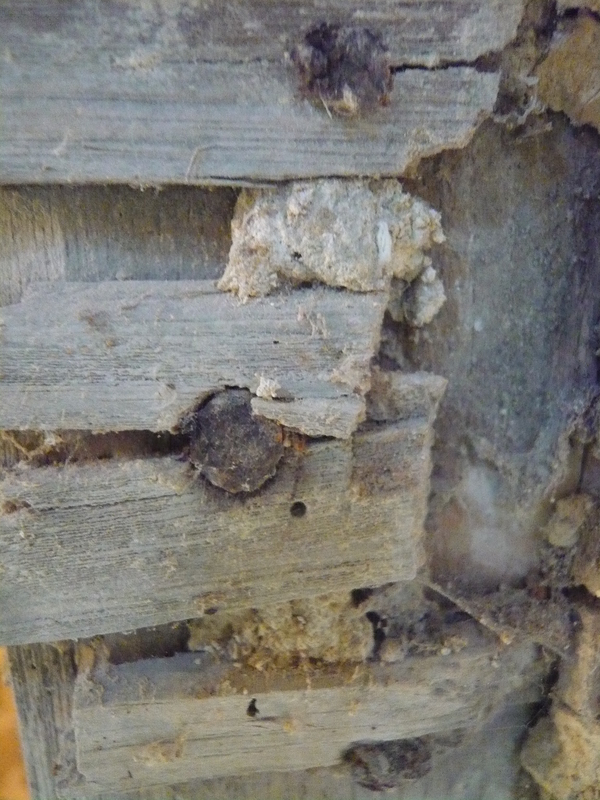 We‘ve analysed the floor timbers remaining these were the original oak timbers, however the floor boards had been replaced in the past with more modern softwood boards. 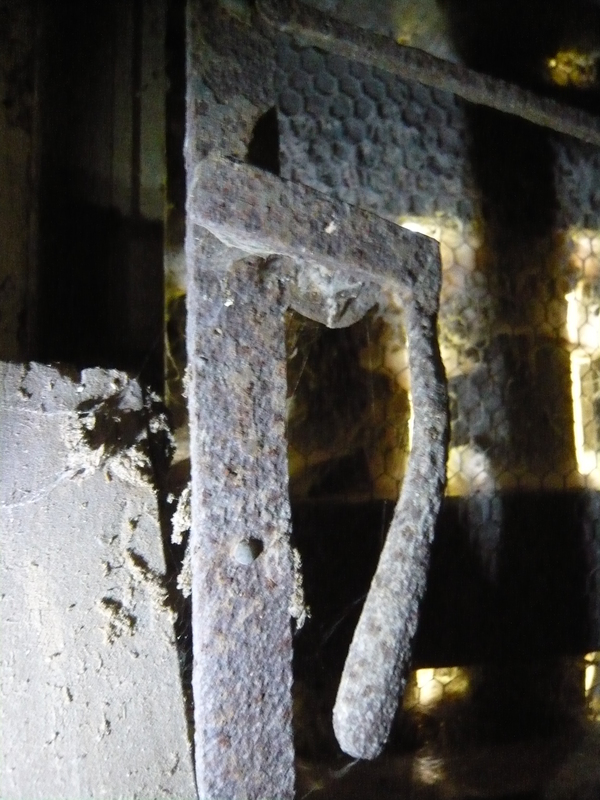 The works will focus on making safe the floors and making the building weather tight, this will enable us to safely access the building to maintain it in the future and plan how we conserve or repair those special interior spaces. We are also focusing on the windows to put back the leaded light metal windows, there are large areas of repairs to reform these and we are working from historic photographs and small sections of glazing to reconstruct these. Pigeon heaven inside the folly, seemed to be a dove cote for the thirty years I have known it and what a pile of pigeon dung which by all accounts is pretty darn good stuff to fertilise your allotment with! !